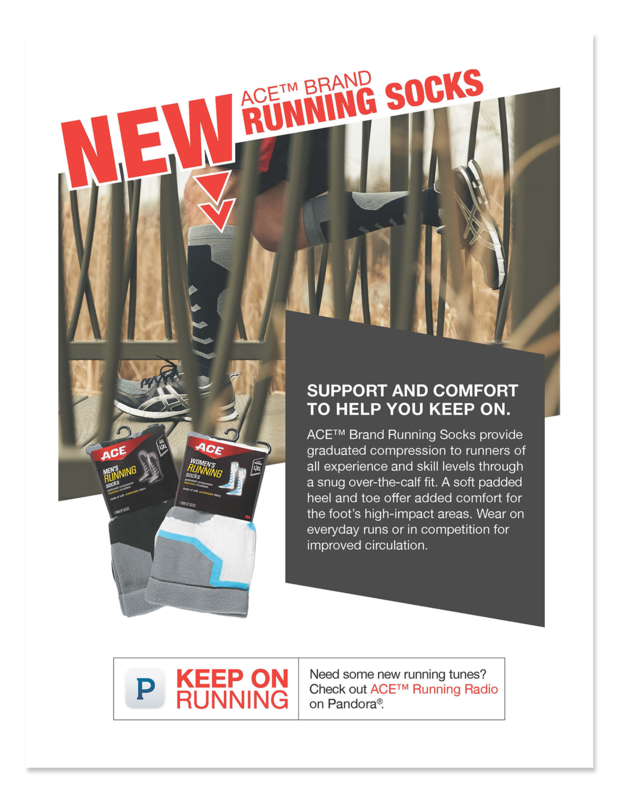 ACE™ Brand launched a new product, the ACE™ Brand Running Socks. I was given some beautiful photography and copy and asked to create multiple assets to help with the launch of the new product. 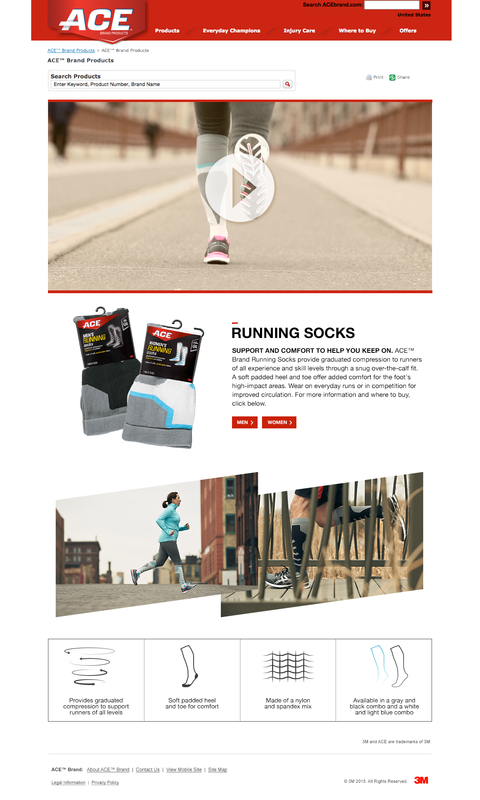 Special landing page for the website to tell graphically about the running sock. Great place to link our social posts to. Custom graphics created. 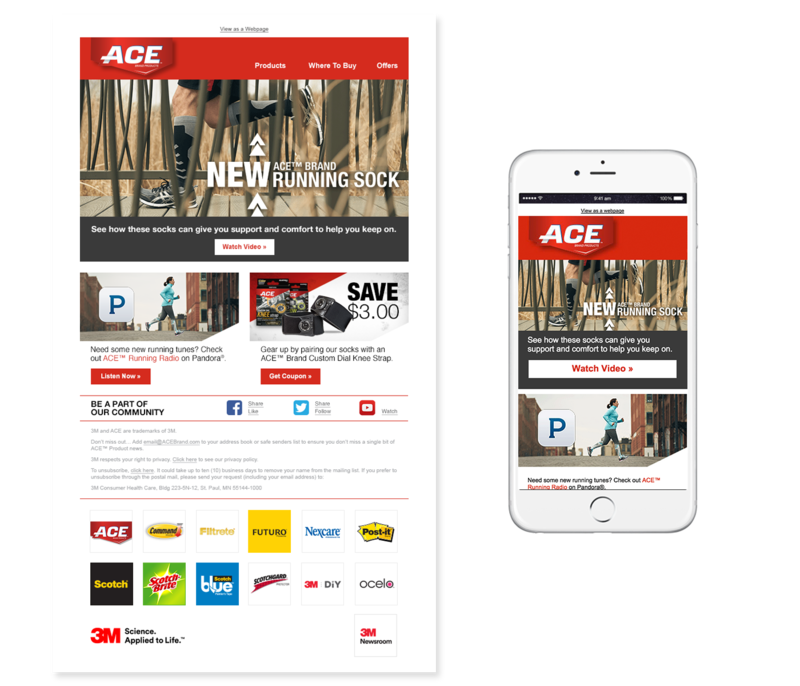 Running Sock Responsive Launch email - both designed and coded. Email banner for other internal brands to cross promote. 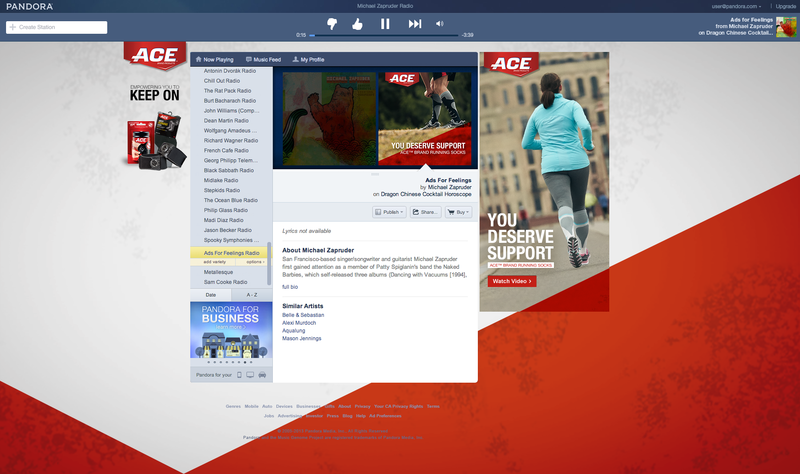 Pandora Skin for ACE™ Running Radio including two banner designs for this page and to be placed among other ads. Handout created for the Race Guards to give out at the expo.